The Problem Steps Recorder enables you to get to the bottom of those PC problems that friends and family come to you with. Like many of us, you probably get asked by friends and relatives about their own PC problems. But without actually seeing the problem firsthand, it can be difficult to troubleshoot. 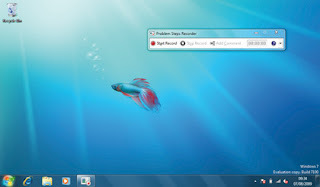 The Problem Steps Recorder enables them to let you know exactly what's going on with their Windows 7 PC. If they have an issue, they can simply launch the Problem Steps Recorder by going to Start, typing PSR and hitting Return. They then click Start record. 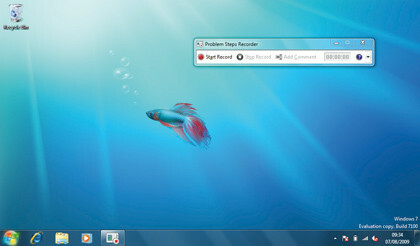 The Problem Steps Recorder takes over and notes mouse clicks and keypresses as well as taking screen grabs. Everything is put into a single file which can then be emailed to you. If you often get asked about problems, it could save you a lot of time.